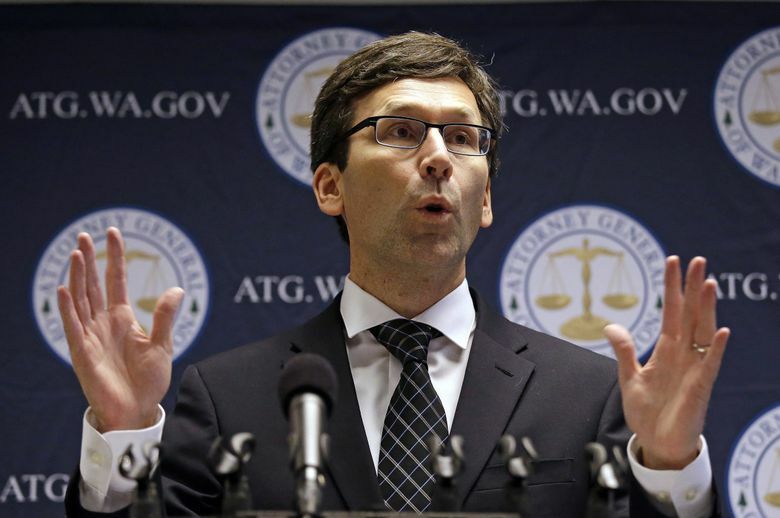 Washington state Attorney General Bob Ferguson sued Facebook and Google on Monday, alleging the tech giants have failed to comply with state law on political advertising transparency. A Google spokesperson said the company is committed to transparency and disclosure in political advertising. “We are currently reviewing the complaint and will be engaging with the Attorney General’s office,” the spokesperson, Alex Krasov, said in an email. Prior to the lawsuits’ filing, Edwards said he’d have liked Ferguson to step aside, saying the attorney general had failed so far to hold the tech companies accountable to the campaign-finance law.